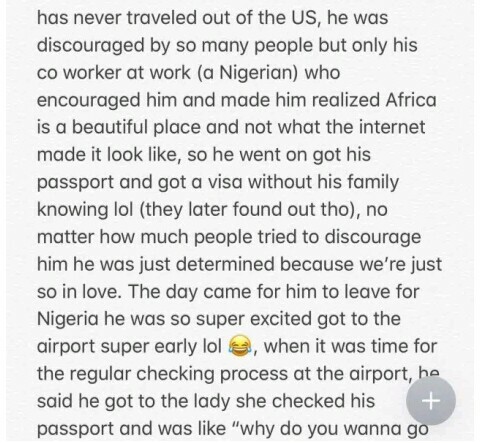 A Nigerian woman who got married to an American man after meeting on Facebook has shared her story how it all happened. 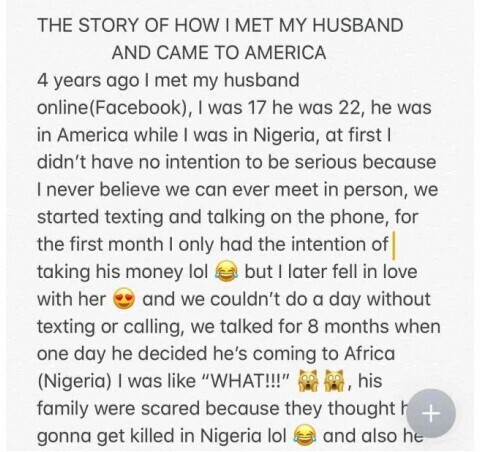 A Nigerian woman has narrated the story of her life how she met her American Husband on Facebook. According to her, she met her husband when she was just 17, and a student Tai Solari University of Education, Ijebu Ode (TASUED). 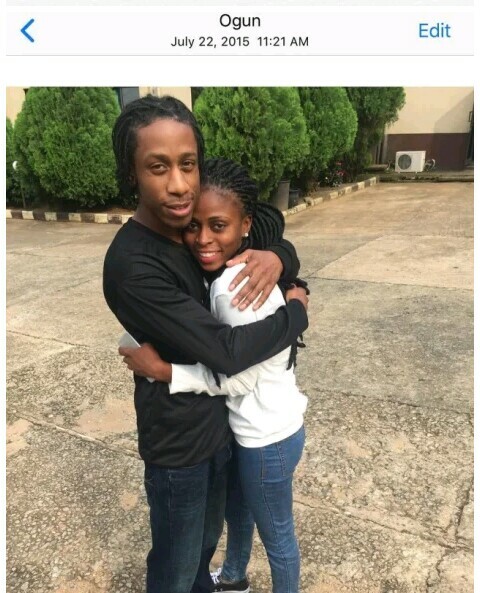 She shared how he flew all the way from the United States to Ijebu Ode so they could meet for the first time. 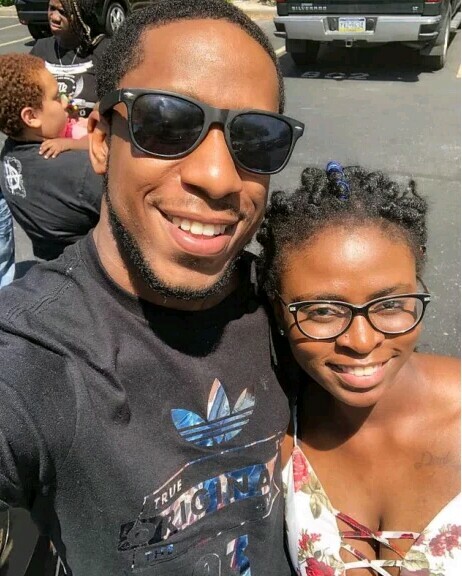 Read their love story below, as well as some photos they took while in Ijebu Ode, Ogun state, Lagos State, and the US.